On Saturday June 11 at 10:30am, members of Pilgrim Congregational UCC are invited to visit the Islamic Center of Cleveland in Parma, have a tour of the mosque, and participate in conversations about being a Muslim in America. If you like to attend we ask you to register with Halldor, halldor@pilgrimalive.org. 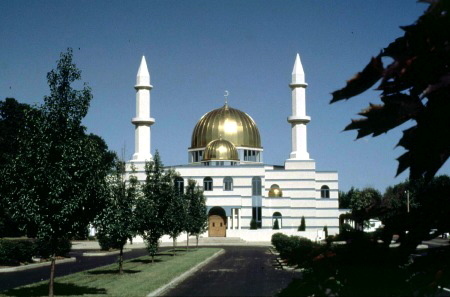 The Islamic Center is located at 6055 W 130th St., Parma, OH 44130. We will meet on the parking lot by the mosque at 10:30am on June 11th. All guests to the mosque are expected to remove their shoes before entering the carpeted praying area. The Center is a place of worship, so modest clothing is required (long sleeve shirts, long pants/skirts/dresses). Ladies are requested to have a head cover if possible.